Hello, I'm back from a little month-long blogging break! The past few weeks and months have been rather hectic but I'm back (hopefully for a while) and I'm very excited to get back into planning ideas, blogging and taking photos! I thought I'd return to the blogging world by chatting about a milestone I've hit this month - three years of blogging! As I, and many others would say, I can't believe it has been a whole three years. 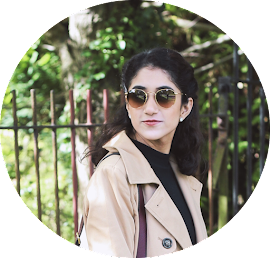 My blogging journey started in 2016 as a hobby and has continued to stay that way ever since. I'm also very very very lucky enough to be contacted my brands and companies for collaborations and reviews, which I am eternally grateful for. It also excites me because I'd never ever have dreamed of earning money or receiving PR packages as a result of my blog. Blogging for me is more than just receiving products and earning money. As I mentioned, I started my blog as a hobby, which it still is and I'm sure it'll stay that way for many years. My blog is my own platform which I can speak out on, showcase my creativity and mainly just do my own thing with. Although my work involves social media, writing the odd blog post and some photography, it just doesn't give me the same satisfaction as blogging. As you may know, I've been on a bit of a blogging hiatus the past few weeks, and my time off has not only been relaxing but also very inspiring and motivating. I truly believe in having blogging breaks when needed because in doing so, you come back even better. Just like how a holiday in the sun makes you feel refreshed when returning to work, a break from the internet and social media can also have the same effect. Throughout my little holiday, I've been brainstorming a lot of new ideas to product upon my return. I've got a lot of new and exciting content in the works, some of which include content that isn't style or beauty related but instead focus on home, interiors and food (so very excited about this!) So stay tuned for a switch up in my blog posts and feel free to leave me any recommendations and content ideas below! If you blog, how long have you been blogging for?